That sounds bloody lovely. I'm supposed to be on an app-free diet for a while, but I haven't got any Mellotrons on the iPad, and that's a great deal. Having fun using Rozeta LFO to CC automate between the 3 voicings and also Reverb levels in Streetlytron using a slow drawn out curve. The CC don’t show up in track however using the midi mapping inside AUM works great for this the CC number for changing voices is 1. Had a few sound stuck sessions doing it so maybe a memory or CPU problem. The launch version on the store had - big confession - some stupid bugs in it, around AudioBus and MIDI channels. All should be fixed at the next release, which is with Apple for review. 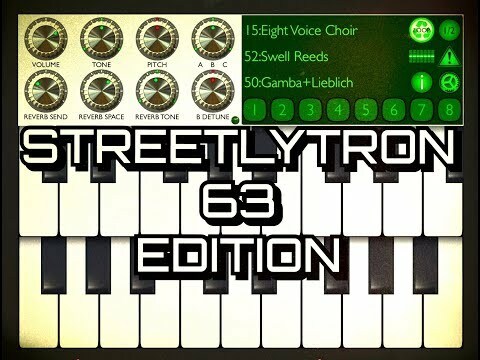 Happy AudioBusing and Streetlytronning!